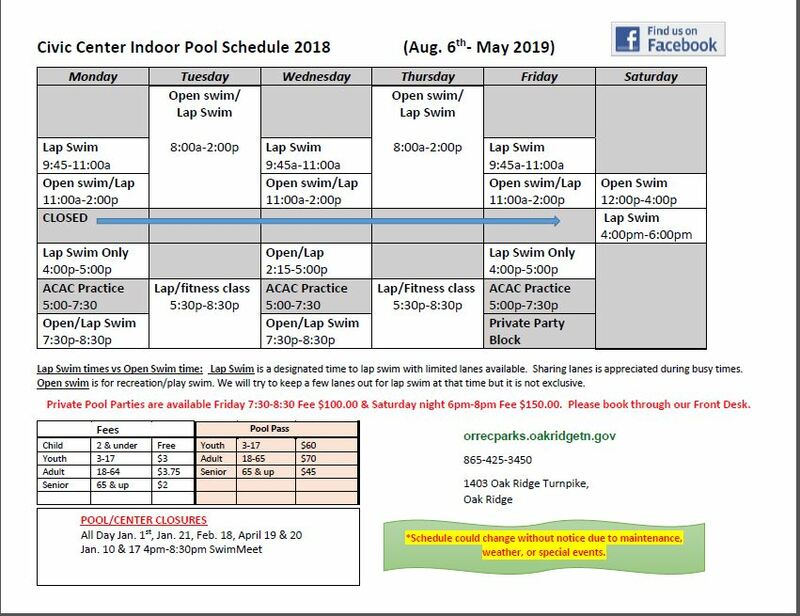 The year-round indoor pool facility is located in the Oak Ridge Civic Center Recreation Building at 1403 Oak Ridge Turnpike. This pool is a seven-lane, 75’x48’, with depths ranging from 3’6″ to 10’6″ and holds 183,600 gallons. The water temperature is normally 83 degrees. The pool is open six days a week throughout the year. 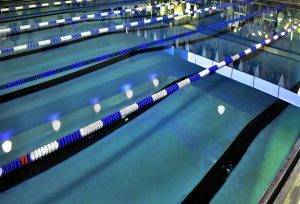 The pool schedule varies depending on the season. The Indoor Pool is Home to three Swim Teams! Indoor Pool is closed on all Sundays. For further information, please call the Recreation and Parks Department at (865) 425-3450. 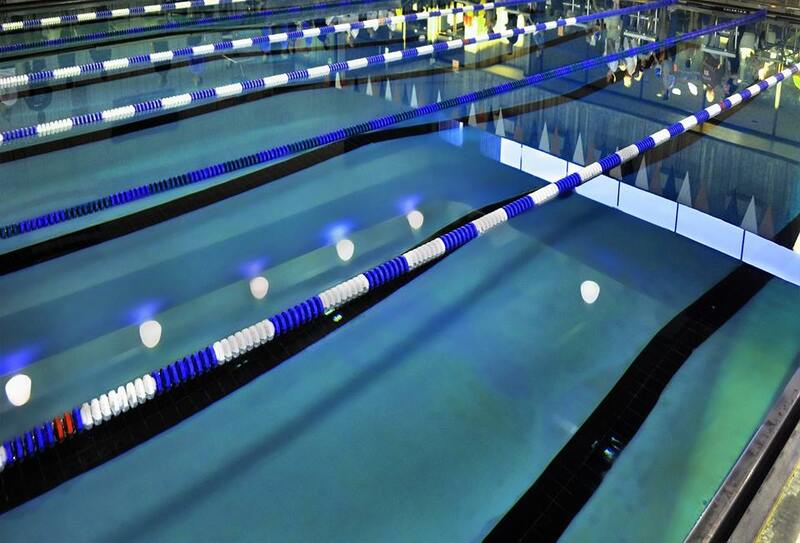 Click here for the outdoor pool facilities and hours page.